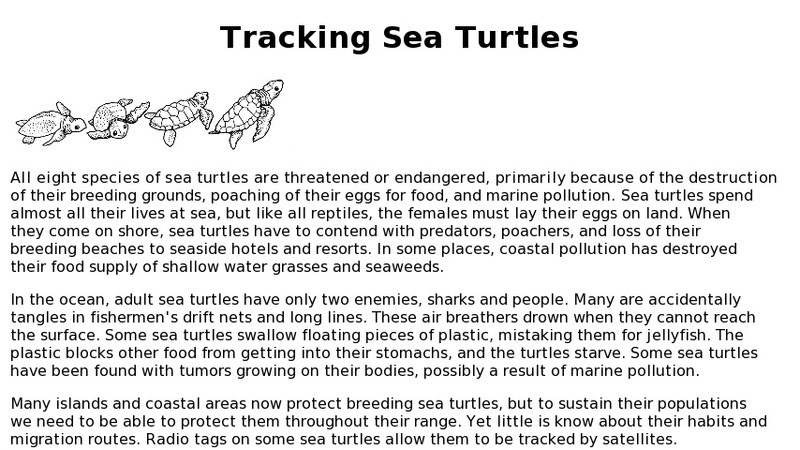 Classroom activity introduces the biology of sea turtles, population status, human impacts. Focuses on Kemp's ridley (Lepidochelys kempii), smallest and more endangered of sea turtle species. This teacher's guide provides NOAA tracking data and instructions for students to follow the migration routes of six turtles in the Gulf of Mexico. Links to related activities using satellite data.